There are many places to camp around the UK: in National Parks; in campsites for tents or vans; camping barns; or even for the more adventurous – wild camping. And if you really want to go crazy, then there is of course illegal camping. However, here we will discuss how to camp safely, and outline the strict rules and regulations to follow. There are National Parks aplenty, spread all over the countryside. From the relaxed atmosphere of the Lake District to the roughness of the Welsh coastline, there are multiple places, styles and comfort levels to choose from. There are the simple options such as pitching a tent, or slightly more upmarket possibilities with a caravan. Some campsites are fully equipped, complete with electricity and Wi-Fi, making it even possible to play casino online from your phone! For those that don’t have a tent, there are camping barn options. These are custom built barns with basic amenities and a raised area for sleeping. The Lake District, for example, has 14 such sites. 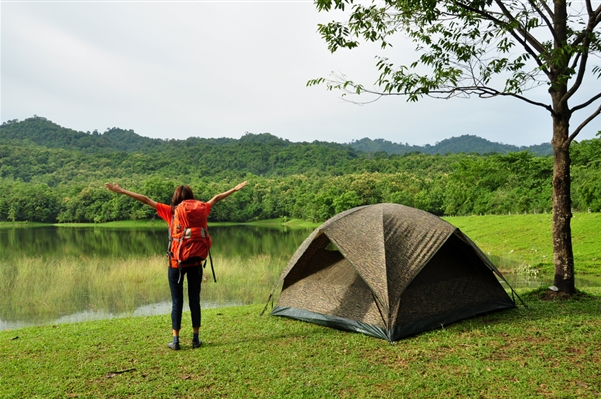 Wild camping is simply taking you off the beaten track and setting up a campsite, a more eco-friendly outlook on camping. For some this can mean being completely alone in a remote area, but for others it’s a campsite in the middle of the wilderness but still with some necessary basics. For this type of camping there are ample choices across the UK, from Dorset and Cornwall to the ruggedness of Pembrokeshire. There are, however, rules to follow for this type of camping. Firstly, it is important to ask permission to camp. Some places are very tolerant; others only permit a maximum stay of two nights in any particular area. 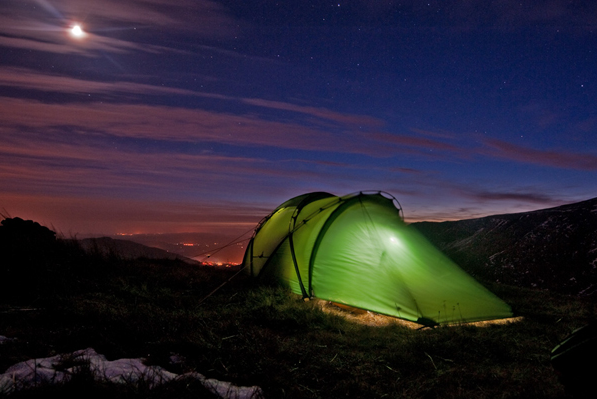 Wild camping is now completely legal in Scotland and also in Dartmoor. One of the most important rules for all campers is to never light an open fire. Also, collect all of your belongings, rubbish, and packaging etc. It is important to leave no trace. It is also considered proper etiquette to camp high and away from buildings that are in the vicinity. Lastly, the toilet. Never leave behind or bury paper, and always make sure to dig a hole 50 metres from water. The first steps are planning and preparation. This involves even choosing where to set up camp in the first place. Check the maps thoroughly to determine the ideal camping spot, if going wild. To ensure comfortable camping make sure to check the weather. British weather is notoriously bad, so make sure to take warm clothing and waterproofs. Then there are the obvious pieces of equipment such as tent, ground mat, and sleeping bag. If you’re going to be cooking make sure to take a stove with lighter fluid and matches. Other useful things include sunscreen, a medical kit and of course food supplies. The amount and type of provisions depends on where and for how long the camping expedition will take place, and this is where we come back around to the importance of planning.